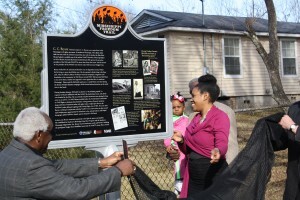 On January 20, 2014, McComb Legacies students were among the 100 attendees at the unveiling of a Mississippi Freedom Trail marker honoring the legacy of civil rights pioneer Mr. C.C. 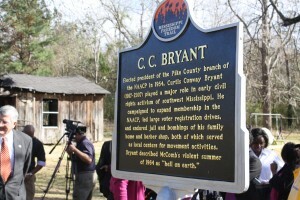 Bryant at his home in McComb. Bryant’s granddaughter, Judith Barlow, says she hopes the marker will serves as a reminder of just how far America has come and how far it still has to go. Bryant’s Freedom Trail Marker is the 15th such marker in the state. He died in 2007. Read more. 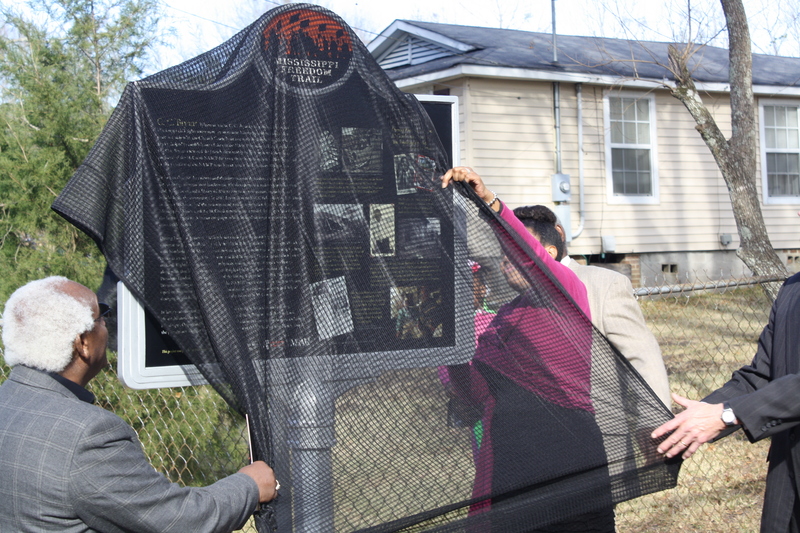 Before the unveiling, in collaboration with the William Winter Institute, McComb Legacies students were interviewed by the South Carolina Educational Broadcasting Network (ETV). Through this interview the students were able to share their work and the importance of learning and sharing history.